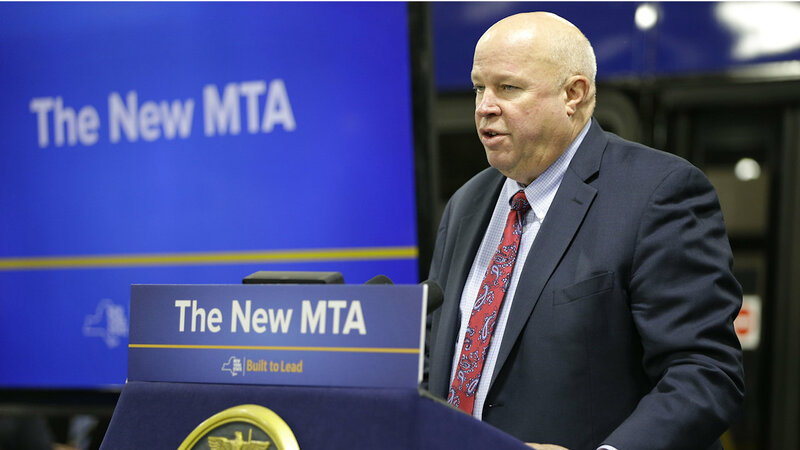 NEW YORK (WABC) -- Governor Andrew Cuomo announced that MTA Chairman and CEO Tom Prendergast will retire in early 2017. Prendergast's career with the MTA has spanned more than 25 years. He previously served as president of NYC Transit, president of the Long Island Railroad, and as MTA Chairman and CEO since June of 2013. "The on-time completion of the Second Avenue Subway would have been impossible without Tom's leadership and relentless commitment to meeting the goal and is an incredible way to end his long and successful career," Cuomo said in a statement. "It's never easy to leave an organization after 25 years of service, but I do so knowing that the MTA will continue to serve the public so well and that our Governor will ensure New York continues to have the most robust transportation system in the country," Prendergast said in a statement.